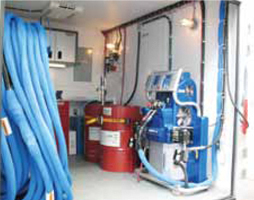 Drive up and spray convenience from North America's Fluid Handling Specialists. 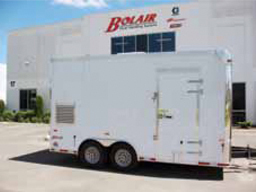 Trust Bolair's 33 years of fluid handling experience to bring you a mobile spray system that's built for the demands of your business. 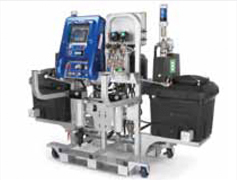 We've teamed up with Graco - the industry's leader in quality and leading technologies - to bring you a mobile workstation of the highest quality, function and durability. 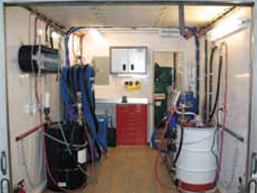 Our Rig building facilities in Milton, Ontario - Edmonton, Alberta and British Columbia are state of the art and designed for high efficiency to deliver the highest quality rigs at the lowest possible price! We will work with you to design the package that is right for your needs and application. 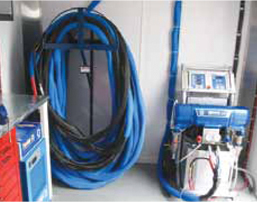 Custom Box Truck - "Bring your truck to us and we will outfit it!" Designed for spraying. Built to last. 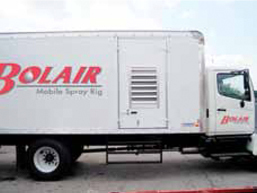 Bolair offers a full line of mobile spray rigs, all built and equipped for the task at hand, and backed by warranty. 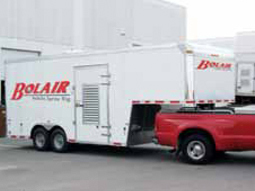 Because they’re insulated, Bolair Mobile Spray Rigs help control temperatures surrounding your A and B materials. 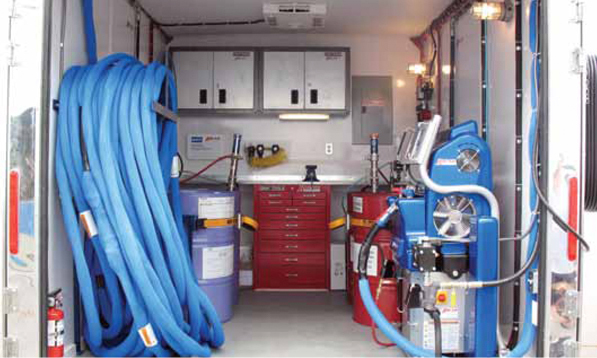 In cold weather, it’s easier to get materials up to spray temperatures. In warm weather, air conditioning helps prevent material overheating and expanding drums, and keeps humidity at acceptable levels. In short, by keeping materials at temperatures closer to manufacturers’ recommendations, you have better control of the reaction between A and B materials, which leads to better results. 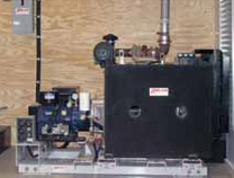 Variable and fixed ratio proportioners available for coatings rigs. 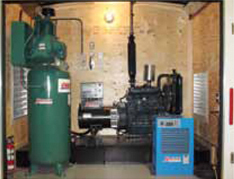 Rotary screw air compressor integrated with a generator saves valuable floor space. 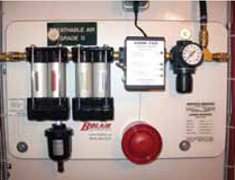 "Recently, our organization has bought Bolair's industrial pumping systems. We are completely thrilled with the exceptional quality of their products as well as the polite approach of the company's staff. Best of luck to your firm!"